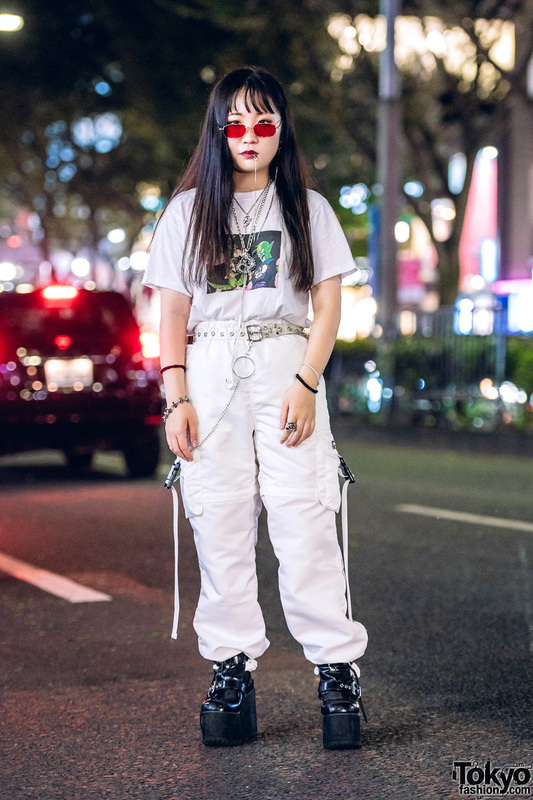 Meet Kaede, whose white streetwear style easily caught our eye. 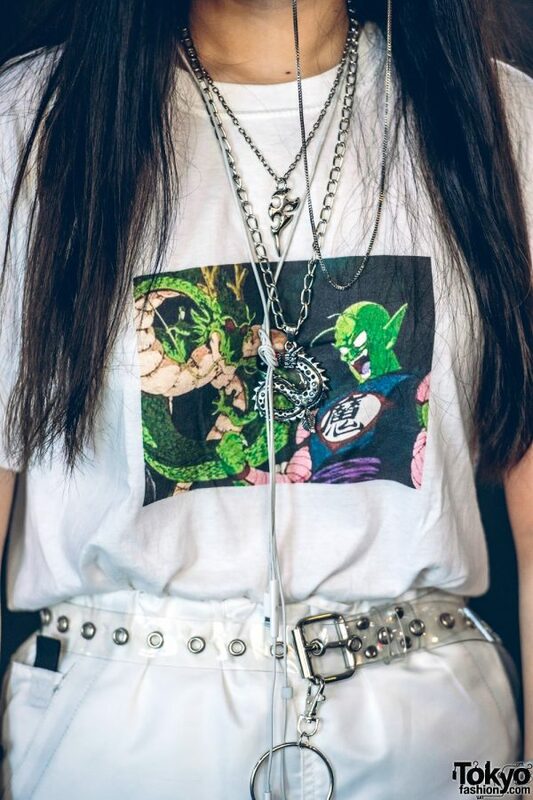 Kaede stepped out in a handmade white t-shirt with Dragon Ball Z anime print, tucked into white parachute pants with side pockets from Faith Tokyo. 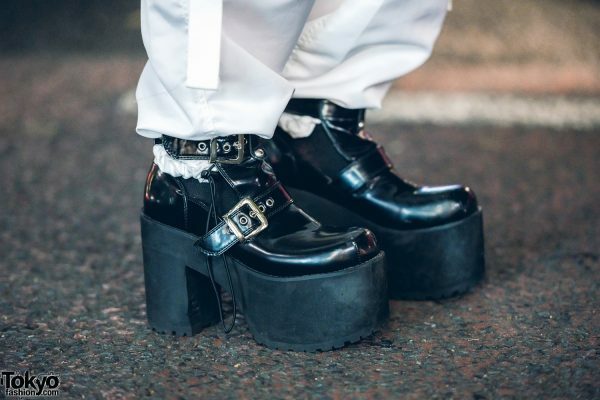 The 17-year-old student finished off her look with black ankle-strap platform shoes from Bubbles. 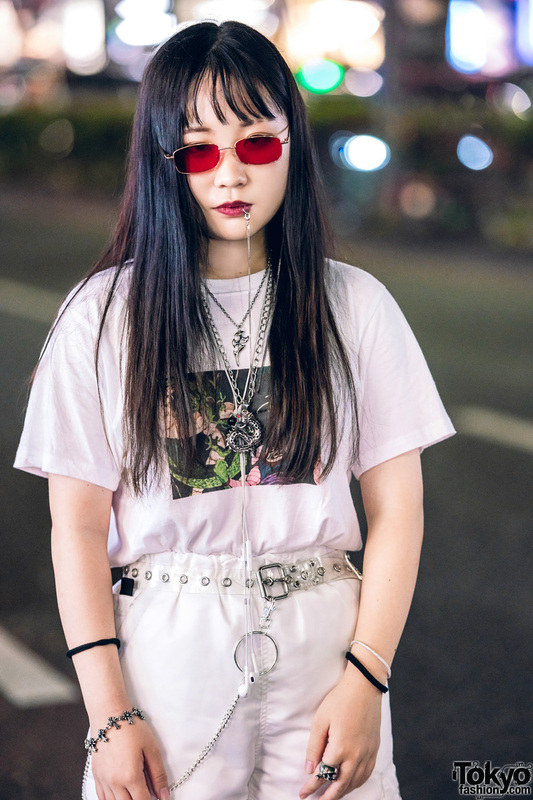 Accessories – some from (ME) Harajuku – include red-tinted sunglasses, a silver lip-to-ear chain earring, layered silver chain necklaces, a clear grommet belt, a cross bracelet, a silver knuckle ring, and an o-ring chain. 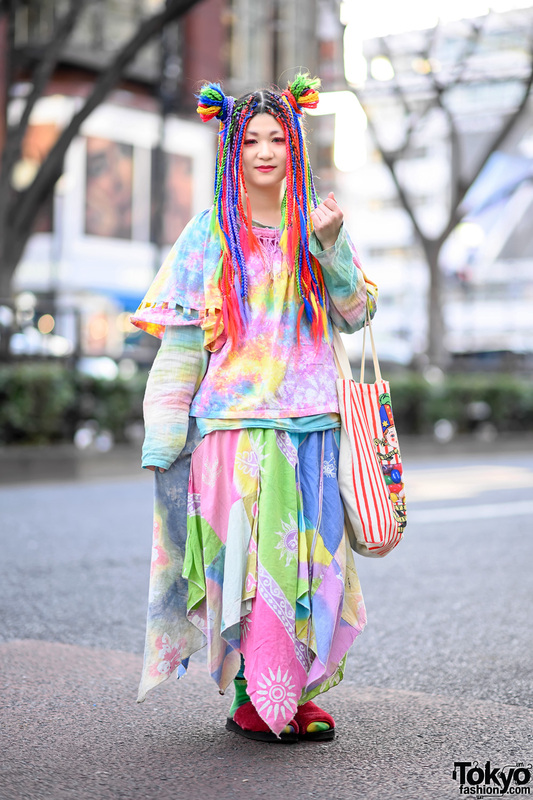 Faith Tokyo and Bubbles are Kaede’s fashion favorites, and she likes listening to 24k and Ravi.